After succesful exhibitions in 2015, like the ACHEMA in Frankfurt among others, HEINKEL Drying and Separation Group will present themselves in the fall on the CHEM SHOW in New York, the CHINA PHARM in Shanghai and in Mumbai our experts will present our solutions in technical seminars on the PMEC. April 2016 our group of companies will show their innovative products and solutions in filtration, centrifugation, nutsche filter-drying, vacuum drying and mixing technologies on the POWTECH in Nuremberg. From 17 until 19 November HEINKEL Drying and Separation Group will be presenting on the Chem Show in New York their innovative and reliable products and system solutions in filtration, centrifugation, mixing and drying technology for the chemical industry. 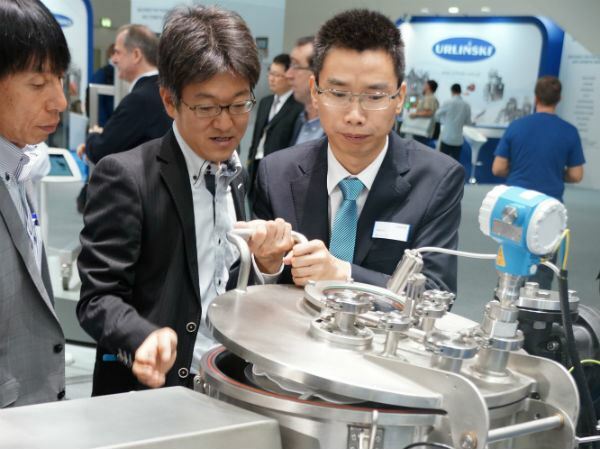 This year the renowned exhibition will open its doors for the one-hundredth time for process engineers, production teams and managers to learn about the newest technologies for optimization in process engineering. Javits Convention Center, booth 104. HEINKEL Drying and Separation Group will end this exhibition year with two events. On the CHINA PHARM from 17 until 20 November in Shanghai the group will be one of the exhibitors on the German Pavilion of the Federal Ministry of Economy and Energy. Here a total of 19 companies will show their innovative products, technologies and services for the pharmaceutical industry. We look forward to meeting you in hall 05, booth 5 D09. The HEINKEL Drying and Separation Group is inviting you to our technical presentations on December 1st during the P-MEC exhibition which will provide you with important information about our solutions in the pharmaceutical industry. As we are specialized in complete system solutions and components for solid-liquid separation with broad know-how in the pharmaceutical industries, our Product Managers from the product homes in Europe will give you an insight on how to avoid contamination and how to deal with sticky products. Our technical experts will be available during the 3 days of the P-MEC. From 19 until 21 April 2016 the HEINKEL Group will show the developments and highlights from their product portfolio on the Powtech in Nuremberg. Every 18 months the sector´s leading exhibition brings the market leaders together for the number one event in Europe for powder, granule and bulk solids technologies. The exhibition reflects the current state of mechanical processing technologies and instrumentation – and thus gives a unique overview of a wide range of industries, from the pharmaceutical, chemical and food industry to the glass, building materials and paper industry. We look forward to your visit in hall 3A, booth 560.